Celebrate the life with those who have passed on, featuring Intuitive Medium Deborah Hanlon, as she connects through energy to our loved ones and friends who have passed away. 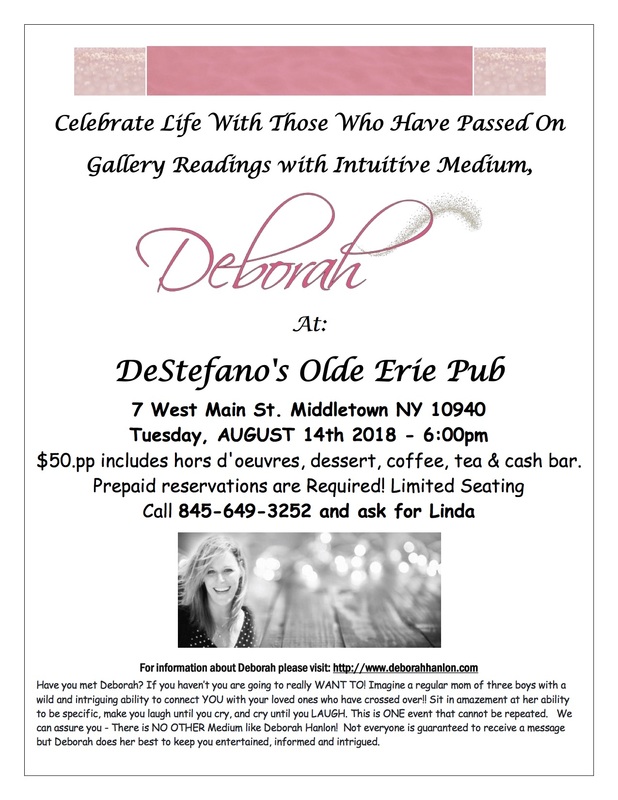 Join Deborah at DeStefano’s Olde Erie Pub, 7 West Main St. Middletown NY 10940, the Gallery starts at 6:00pm, $50.pp includes hors d’oeuvres, dessert, coffee, tea & cash bar. Prepaid reservations are Required! Limited seating, call 845-649-3252 and ask for Linda.